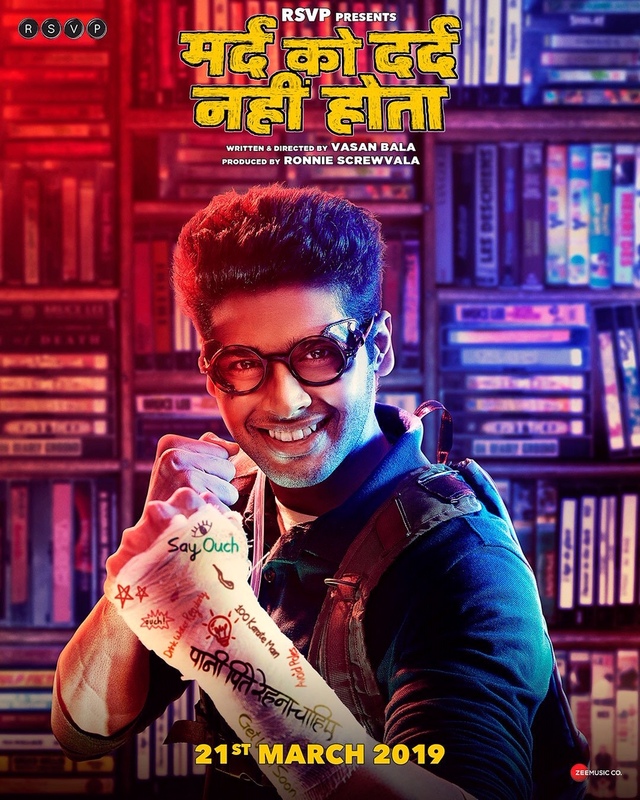 Starring Abhimanyu Dassani in his debut role, Mard Ko Dard Nahi Hota (The Man Who Feels No Pain) directed by Vasan Bala, premiered at the prestigious Toronto International Film Festival last year and received a standing ovation. This unique and highly praised film, which is now in theaters, also stars Radhika Madan also in her first film as well as featuring Gulshan Devaiah and Mahesh Manjrekar. To give you an idea of what Mard Ko Dard Nahi Hota is all about check out the trailer! 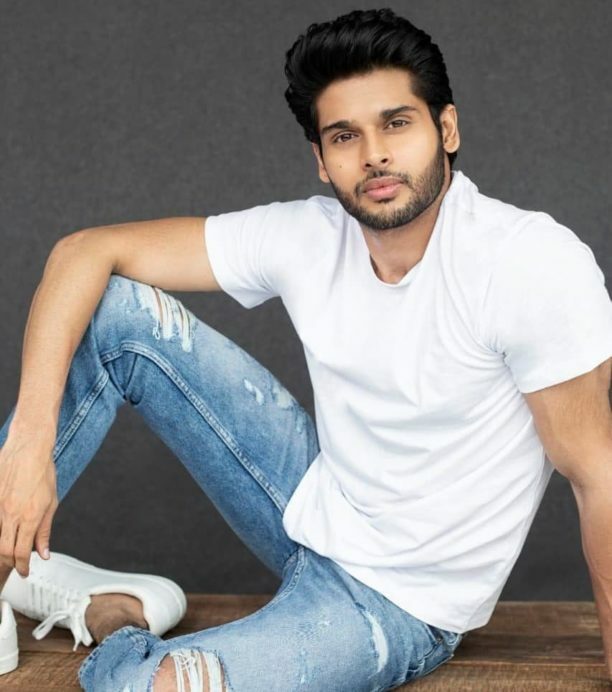 We have an exclusive talk with the star of the film Abhimanyu Dassani that was conducted last year while he was at TIFF. 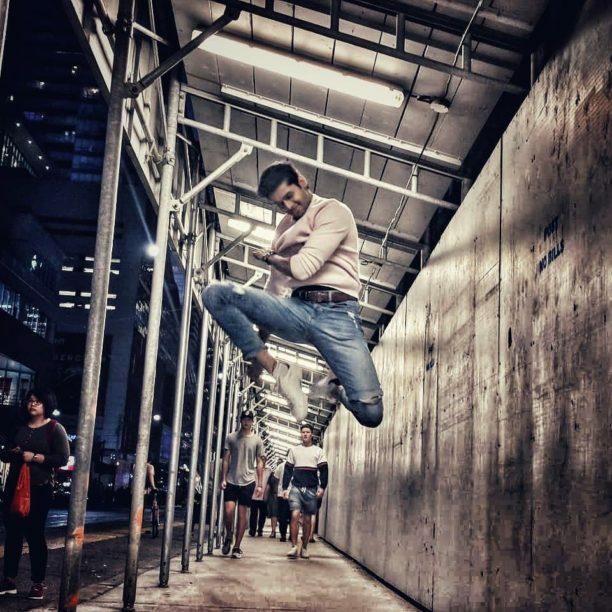 The oh-so-nice and very passionate actor took time out of his busy schedule in Toronto to talk with Stacey about his debut film. In this fabulous interview, Abhimanyu gave insight into the story of MKDNH, about his auditions, his extensive preparation body and mind and soul for the role and what he hopes comes next! So, how would you describe the film? It seems to be a bit of Jackie Chan and Bollywood with a twist? It is a coming-of-age film, where you discover that you should give your dream a shot no matter what stage of life you are in – whether you are 6 or 60. It is about rejuvenating that childhood and talking with the child within you. That is mixed up with a lot of hand-to-hand combat and action comedy. So yeah like you said, it is kind of a take on a Jackie Chan flick – Bollywood style. Absolutely! Absolutely! That is how I connected so much on a cellular level with the script because in some ways Surya was me. If you watch the film, I believe everyone will be able take back something with them from Surya and say ‘Oh yeah, this has happened in my life. Oh yeah, I wish this happened in my life.’ So, Surya is just a character that he connects with everyone. So how did you get the role in Mard Ko Dard Nahi Hota? I got a message from a friend of mine with a screenshot of a tweet that said a 18 to 23-year-old is required for a martial arts film. So, I went to the audition to test myself to see if I’ve got what it takes. The first day I went for the audition I didn’t get a chance. I was there at 9 am until the end of the day. They didn’t give me a chance to audition. I went back the next day and this was during the monsoon in Bombay, it was crazy. So again, I waited outside again the whole day and again I didn’t get a chance to audition. I went back to my martial arts training center. They happened to call my martial arts trainer and said we don’t have a lead for this movie, and we would like all your students to come audition. My trainer came and spoke to me and I said, ‘Are you serious? I went there to the auditions. I think they probably have an actor in mind.’ So, I went a third time and I guess third time is lucky because I got a chance to audition. Then I had to do 25 to 30 auditions over a month for Vasan sir to get this film. Now this is your debut film and you certainly didn’t take it easy on yourself. What was it about this film, once you heard about the story, that made you say I really want this film? Then, I just began by training for 8 – 9 hours every day for 6 – 9 months to get into character. Tell us more about that training and prep you did for the film. Like I said earlier we had 6 hours of martial arts training every day. 3 hours in the morning, 3 hours in the evening. In the day I would do gymnastics and bo staff fight training. Then I would do a lot of meditation because Surya has kind of a sense of gravity to him. I would end my day with a swim. Then with all this I would spend my time learning about human anatomy, as well as the side of the physical rehab and the sports medicine and injuries that sportsmen have and then know about how to recover your body. I did a lot of biology study for this as well. My last 3 months, before we started shooting the film, I went into a mode of isolation. Because Surya for most of his life speaks only to his father or his grandmother. I wanted to know what that feels like and how socially awkward that would make a person going into a new world. So, I spent 3 months not speaking to anyone except Vasan sir and a few people from the team. How strange was that for you? Looking back, the introspection time that I had helped me know a lot about myself. Not only the character, but certain traits that I have developed over the years because of certain experiences one has in their life. I kind of had time to dig deeper and understand those things and understand things that I want to do in the future. So, it gave me a lot of clarity on myself and also on the future I want to create. Absolutely! It definitely has been a life changing journey. Definitely a caterpillar to a butterfly kind of thing. What did you find most challenging about being an actor in a film? The acting part comes from the passion so when they say action and when the director says cut after 1 minute – 2 minute – 3 minutes of my performance time I feel like Popeye on some spinach! You know what I am saying. (Laughs) It is exactly that feeling! But there are certain aspects that come with acting which are the other side of the coin where there is the image you have to have, or you have to market yourself. Then the promotions and the press cons, which I am still trying to understand and learn because every day is a new adventure for me. Were you nervous before your first shot? I know you have prepped, and you are ready for this character, but when the director was about to say action were you nervous? It didn’t strike me because I have been on set for 4 other projects as an assistant director. So, I was familiar with the surroundings that I would. So no, honestly, I was excited more than anything else because I would focus on those 2-3 minutes of acting. The rest of the time while I was on set, I would never go back to the vanity van – I would spend the whole time on set trying to get to know people. Obviously making them comfortable and in turn making me comfortable on set. What makes you most proud about your experiences on this film? See, my family consciously tried to keep me away from this industry from early on. The kind of reception that this trailer received was the first time my father ever told me he was proud of me. That was kind of overwhelming. All the feels you know. How do you think you did in your first film? How do I put this? I mean people are loving the trailer and thanks to Vasan sir and the entire team for just making it so easy for me. I just had to show up on set and do exactly what they told me to do. All props goes out to the team at RSVP, the DOP Jay Patel and Vasan Sir. You know, I put in all the effort that I could – so yeah for me with the effort that comes to the result. I had fun. I got to meet a lot of really nice people. I am grateful that they are now a part of my life and part of my circle. I am so grateful. I think they have kind of spoiled me with the kind of love they have given me. Even on set and after the trailers came out, I am just bubbling with the love I have received. What would you like to try your hand at next or what role do you want to do next? The kind of films I want to make or the reason that I got into this industry was to make cinema with all honesty in any form, one with all truth in it. Because truth and honesty kind of lasts forever. It is timeless. There are a lot of films or music or art of any kind that is really exploding in your face for 3 months these days. Then 4 months go by and then by the 5th-6th month you don’t want to ever see it again. Then there are films that you watched 10 years-20 years ago and you can watch it again and again. You happen to catch a scene on television and then you get stuck. That is the kind of cinema I want to make. So yeah, whether it is a commercial romantic comedy film, or whether it is a genre film like this, whether it is an action film, my focus is to do all the art bit of it. And obviously connect with great people and good people and have them around me. Having said that I would love to do a romantic comedy. I really want to do a romantic comedy, I love watching those! 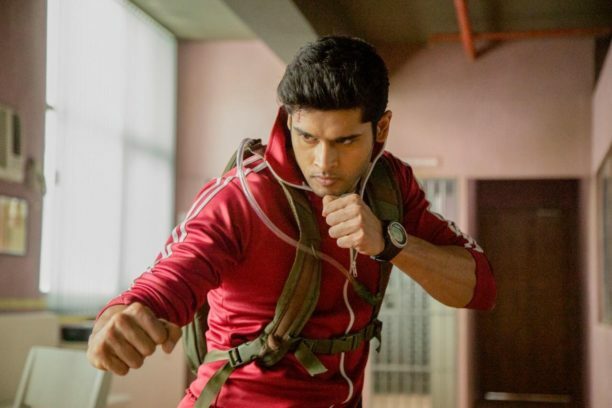 Be sure to check out Abhimanyu in Mard Ko Dard Nahi Hota in theaters now. Thank you Abhimanyu for the great conversation!